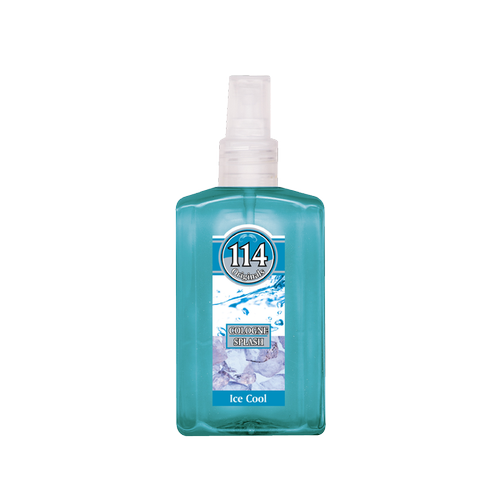 114 Cologne Splash is a light bouquet of the finest natural essential oils that will refresh both your body and soul. 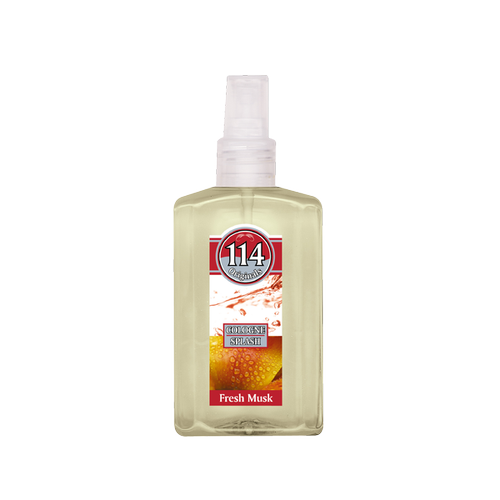 114 Cologne Spray is a light bouquet of the finest natural essential oils that will refresh both your body and soul. Following the legendary success of our classic Eau De Cologne, we chose to expand our cologne spray range. Our range of cologne splashes, formulated from the finest natural essential oils, is specifically designed to keep you fresh and lightly scented for hours. Amber & Oud boosts your energy and puts you in the mood for oriental fairy tales. Following the legendary success of our classic Eau De Cologne, we chose to expand our cologne spray range. Our range of cologne splashes, formulated from the finest natural essential oils, is specifically designed to keep you fresh and lightly scented for hours. Fresh Musk refreshes you and puts you on a caravan roaming the desert. Following the legendary success of our classic Eau De Cologne, we chose to expand our cologne spray range. Our range of cologne splashes, formulated from the finest natural essential oils, is specifically designed to keep you fresh and lightly scented for hours. Ice Cool hypes up your energy and beats the heat. Following the legendary success of our classic Eau De Cologne, we chose to expand our cologne spray range. Our range of cologne splashes, formulated from the finest natural essential oils, is specifically designed to keep you fresh and lightly scented for hours. Spicy Fresh spices up your mood and energizes your day as of the first splash! Following the legendary success of our classic Eau De Cologne, we chose to expand our cologne spray range. Our range of cologne splashes, formulated from the finest natural essential oils, is specifically designed to keep you fresh and lightly scented for hours. 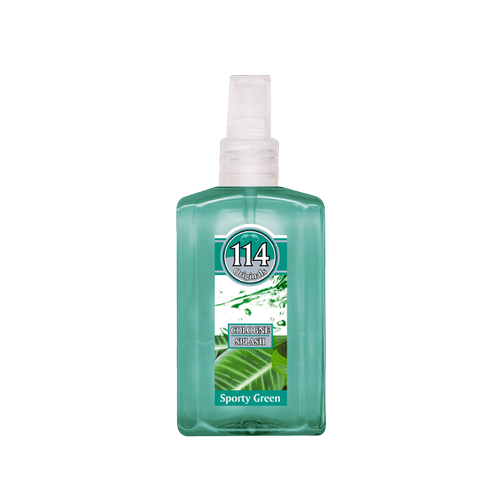 Sporty Green energizes your mood and recharges your day at any moment!